The week of the 4th to the 10th of March 2019 is a big week for the tours & activities industry. 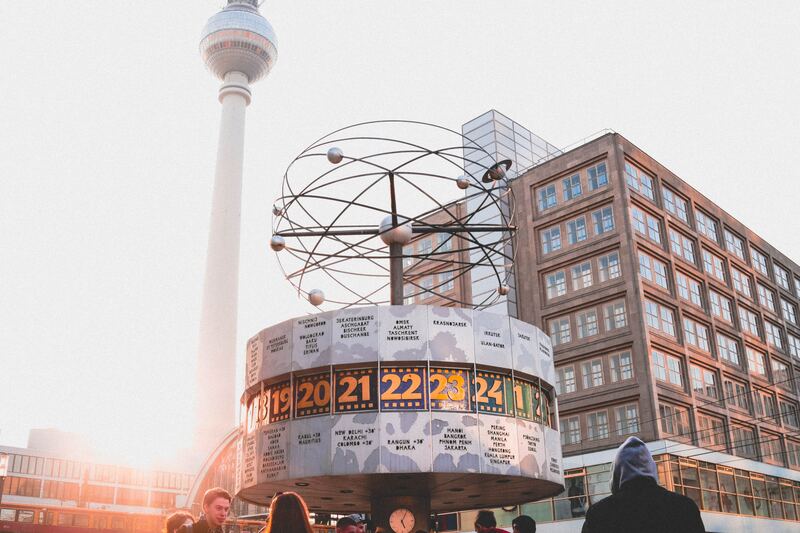 Along with the long-standing Travel Trade Show ITB Berlin, Arival will host its first European In Destination Event - in the same city, in the same week. Joined by international experts and world-leading operators in our sector, TrekkSoft will be on site to take part in the conversations, activities and community that make these the go-to events for tours, activities and attractions providers. 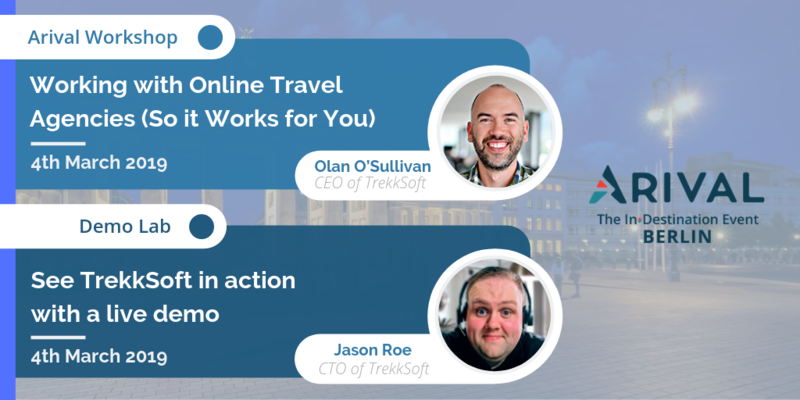 We're kicking off the week at Arival on the 4th of March with the presentation Working with Online Travel Agencies - So it Works for You at 5.30 pm led by TrekkSoft CEO Olan O'Sullivan. 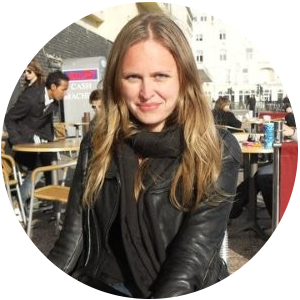 This practical workshop looks at how to develop a smart and balanced distribution strategy, how to best work with different OTAs, and how to optimise your sales while avoiding over-dependence on any one distribution channel. Co-presenting are Peter Syme, Founder of 1000 Mile Journeys, whose talk was praised by its audience at last year's Arival in Las Vegas (you can watch an interview with Peter here) and Christian Landis, General Manager at Best of Switzerland Tours, the leading operator for sightseeing and daily excursions in Switzerland. On the same day, Jason Roe, our CTO and tech-guru, will give a live demonstration of TrekkSoft's enhancements and new features in the Arival Demo Room at 4.45 pm. Join Jason as he walks through the practical implications of sales channel management on the 4th of March. As we continue the week and head to ITB Berlin, Olan O'Sullivan will join a panel discussion on Distribution Strategies on Wednesday the 6th of March. Backed-up with insight from fresh TrekkSoft booking data and findings from recent surveys, Olan will share his thoughts on the customer booking journey in the digital era and the importance of a balanced distribution in such climate. Join us for discussions in Hall 7.1b, eTravel Lab at 3.00pm. As well as our presenters, our team of booking solution experts will be available throughout the event to discuss business growth and distribution strategies. Come by and say hello in Hall 5.1 at Stand 119 or arrange to speak with us individually about your business.